Wedding PR: Travel Pulse, Brides.com, Catersource, and more! We are so excited for this week’s set of client features including Travel Pulse, Brides.com, Catersource, and so much more. Check it all out below! Destination Weddings Travel Group was featured on Travel Pulse with their article, What Are Travel Agents’ 2017 Resolutions? See the full article here. 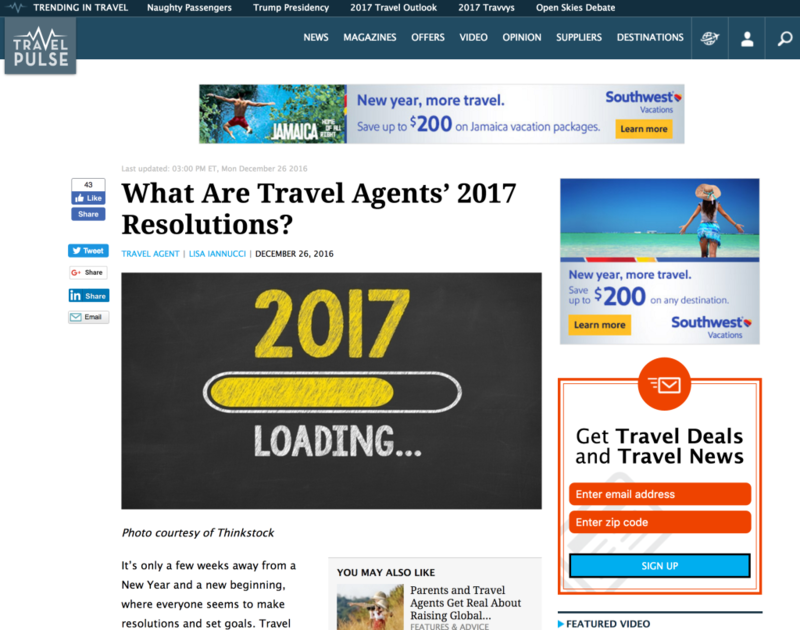 All Inclusive Outlet was featured on Travel Pulse with their article, Travel Advice for First-Time Travelers. See the full article here. LadyMarry and Belladeux Event Designs were featured on Brides.com in the article, The Ins and Outs of Paying Wedding Vendors. See the full article here. OFD Consulting LLC‘s Audrey Gilani was featured on Brides.com with her article What Real Brides Wish They Knew BEFORE Planning Their Weddings. See the full article here. Mike B Photography was featured on The Big Fat Indian Wedding with a real wedding Quirky Cultural Fusion Wedding in Maryland. See the full feature here. OFD Consulting was featured on Honeybook with their article, Making the Most of Your Off-Season. See the full article here. Destination Weddings Travel Group was featured on Catersource with their article, Destinations Weddings and Technology: The Perfect Pair. See the full article here. Fantasy Sound Event Services was featured on Catersource with their article, Roundup: 2017 Décor Trends Forecast. See the full article here.